Travel is one of my passion. Too bad, when I got married (plus my husband is working in a call center), I don’t have the time to travel. But we are planning to have a vacation by early 2009. We are thinking Batangas will be a nice place to relax and also to celebrate our anniversary. 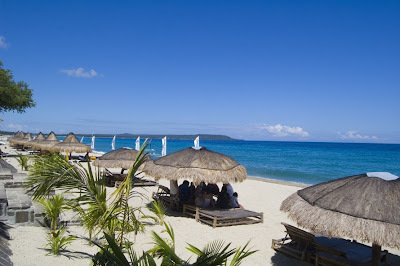 Batangas is one of the places in the Philippines which houses several tourist spots that the country is being proud of. It is approximately two and a half hours from Manila proper and is strategically located at the southern coast of Metro Manila where you can find Anilao, which is known for its diving sites. Here you can also find Taal Volcano and Taal lake and of course, Tagaytay. There are a lot of things to do in Batangas that a short vacation will not do. You can see caged tigers, swim in their one-of-a-kind swimming place where the reef is carved at the foot of the ladders to make it as a small swimming area, snorkel at Sombrero island to see the beautiful colors of various corals. There are fresh-water beaches in the towns around the Lake — San Nicolas, Agoncillo, Cuenca, Balete, Tanauan and Talisay. Salt-water beaches abound in the following towns: Matabungkay (Lian town), Nasugbu, Calatagan, Calaca, Lemery, Taal, San Luis, Bauan, Lobo, and Laiya (San Juan town). Or you can opt to explore their mountains! There is mountain trekking in Mt. Maculot and in Mabini and Nasugbu towns. There are also several island tourist destinations, like Tingloy, Verde Island, Ligpo Island, and Fortune Island and also Industrial Parks and various manufacturing industries dotting the shoreline. Copyright © 2019 Aeirin Collections. All Rights Reserved.